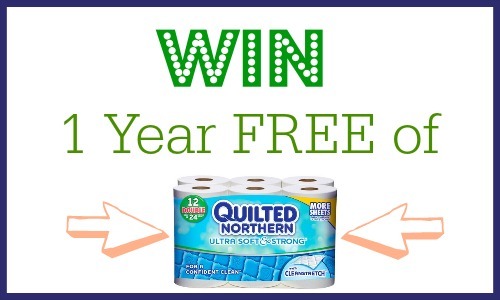 Home > Free > Win a One Year Supply of Quilted Northern! Win a One Year Supply of Quilted Northern! We aren’t too picky about things at our house. But we are picky about bathroom tissue. It may sound like an odd thing to care about, but just trust me there are rules you have to follow. No matter what your loyalty is though… you can’t pass up free! Quilted Northern recently called to ask if I would like a year of toilet paper if I gave away a year to you guys. What’s a girl to say but “YES”! With 5 girls in our house we go through some toilet paper, so this was an unexpected relief to the budget. They also sent a VIP package full of fun treats and ways to start the day off great. I mean, coffee, tea, eye mask, a magazine subscription, bath tissue and more… what more does a girl need? While not everyone can win the year supply, there are a number of coupons out to help you save right now. It also helps that we see the biggest sales and deals on Quilted Northern too! One Southern Savers reader is going to win a one year supply of Quilted Northern bath tissue. Just fill out the form below to enter.